It's hard to remember back to the days before online shopping. Did we really used to drive around to various stores to try to find the best price on products before purchasing them? Fortunately, with the internet at our fingers, it is now much easier to comparison shop and search for deals on everything from handbags to playhouses to digital cameras. And the site to go to for thousands of high quality items that are offered at amazing prices with stellar customer service? None other than OrangeOnions.com. Offering the brand names that you love at prices that you can't pass up, OrangeOnions.com will save you money without compromising the features or service you enjoy. No matter what you're shopping for, OrangeOnions.com will have it and they will have it for less. Are your kids ready to play outdoors in the warmer weather? 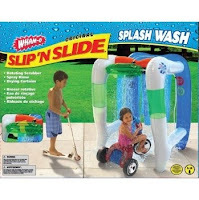 I know my daughters would be endlessly entertained all summer long with the Wham-O Slip n Slide Splash Car Wash, normally retailing for $55.99 but available at OrangeOnions.com for only $32.99. Not only would it be fun, but both of my kids and their toys would end up clean! 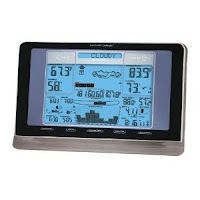 Or, to find out if it truly is going to be warm enough to splash and play outside, the Discovery Channel Storm Tracker WeatherTech would be a great way to have more than a dozen weather forecasting tools right at my fingertips. Retailing for $199.99, this great gadget is found on OrangeOnions.com for only $69.99, a whopping $130 savings. 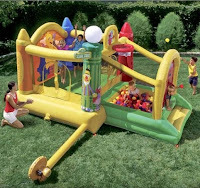 And, after determining that it's going to be warm out, I think that I would be the coolest mom on the block if I set up the Sesame Street Activity Bouncer & Ball Pit in our yard. There would never be a need to leave if we had a fun and safe way for my daughters and their friends to bounce and play with their favorite characters in it. These retail for $499.99 (ouch!) but OrangeOnions.com has a great deal price of $289.99... plus, use the coupon code mentioned below and save an extra 20% off of that. For $231.99 and free shipping, this would take care of birthday party expenses for years and years to come. Along with their everyday markdowns, OrangeOnions.com offers their Deal of the Day, for "One Day, One Product, One Ridiculously Low Price!" Here you can score up to 80% off of retail prices, making this the best bargain online. What a great way to stock up on items for your family or your home or as gifts for any number of occasions at extreme savings. Oster is widely known as a worldwide leader in kitchen appliances but with that hefty title also comes hefty price tags. 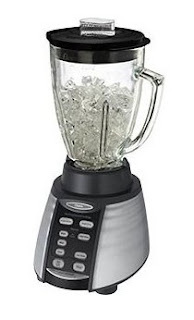 The Oster Counterforms Stainless Blender is listed on the Oster online store for $89.99, and even though this is an amazing blender, that's still a steep price tag. Instead, at a savings of nearly 30%, it is on sale at Orangeonions.com for only $64.99 and will arrive safely at your door within only days of your order. It's hard to beat that deal! More than just a blender, this Counterforms 2-in-1 appliance features Oster's Fusion Technology and performs not only as a blender but as a food processor as well. The extra large glass jar, 600 watts of power and ice-crushing blade are just a few of the settings and options that will make your time in the kitchen quick and easy. Whether you are mixing liquids or chopping and pureeing fruits and vegetables, this high quality machine will far exceed your expectations. Orangeonions.com really is the site to shop at for the products you love at deals you can't resist. Their dedication to quality and service while bringing you a steal on a huge variety of great products makes it the first place to check for your next purchase or gift. They even offer a customizable Gift Finder so you can easily browse a wide array of ideas - Mother's Day is right around the corner, are you prepared? I even looked a little further ahead and found quite a few things that my husband would enjoy for Father's Day! 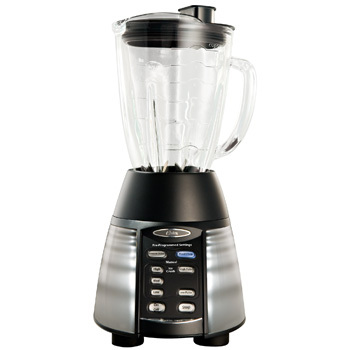 One lucky person will win an Oster Counterforms Stainless Blender from OrangeOnions.com! ARV $64.99! To enter to win: Visit OrangeOnions.com and tell me one of their other amazing items that you would like to own. 1 Extra Entry if you enter the Cabbage Patch Doll weekly giveaway on OrangeOnions.com! There are multiple easy ways to enter! 1 Extra Entry (per method) if you follow OrangeOnions.com on Twitter, become a fan on Facebook and/or sign up for their newsletter. 3 Extra Entries if you blog about this giveaway linking back to Thanks, Mail Carrier and OrangeOnions.com. Please leave an address where it can be found. Giveaway will end on May 6th at 11:59pm CST. Do me the favor of leaving an email address or making absolutely sure it is visible in your profile, I have to have a way to contact the winner. The winner will be chosen by random.org and announced here as well as emailed and will have 48 hours to contact me or respond to notification or a new winner will be chosen. This giveaway is open to residents of the contiguous U.S. only. A huge thank you to OrangeOnions.com for providing a Oster Counterforms Stainless Blender for one lucky giveaway winner. The opinions shared are my own and honest and if you really need to see more, click here to see how I roll. I'd love to have the Studio Silversmiths Hammered Designed Platter. 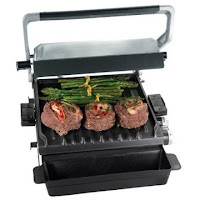 I also love the George Foreman 185 Square Inch Electric Griddle. I love the Umbra Highwire 8x10 Multi Photo Hanging Picture Frame! I am an email subscribber :) and need a blender badly! I am 27 and have never had the ability to buy one, too many $$ troubles. Some day it will all be better! I was not familiar w/this site b4 today. Thanks for letting us know about it. signed up for orange onions newsletter. I would like their electric cordless jug kettle. I would love to have a Black & Decker InfraWave Countertop Oven with Rotissere. I think the Disney Princess wall clock would be great for my girls' room. I want the George Foreman 185 Square Inch Electric Griddle. From their website, I like the Short and Stout Teakettle. I also like their neat goft-finding widget-thingy on the front page. Following orange onions on twitter. I think their revolving burger condiment server is SO cute! Following via google friend (2). Thanks! Subscribed via RSS feed (2). I would like to get the Philips High Definition Voice Cordless Phone/Answering Machine. The Julie Ueland Vineyard Terracotta Vase by Enesco goes perfect with my kitchen. Too many things to choose from but I need a new hand mixer. A wrist watch would be nice...especially if it works!